UNICEF today announced tennis champion Serena Williams's appointment as international Goodwill Ambassador. Williams is one of the all-time greats of professional tennis, having achieved a decade-long dominance of the game. While she is best known for her power and finesse in competition, her generous philanthropic endeavors off the court are just as dynamic. UNICEF Executive Director Anthony Lake welcomed Williams to the UNICEF family today at the 2nd Annual Social Good Summit in New York City. Williams first teamed up with UNICEF in 2006 when she traveled to Ghana, on her first visit to Africa, for the country’s biggest health campaign. During her visit, she joined a team of volunteer health workers who immunized children against deadly childhood diseases, distributed free mosquito bed nets to help prevent malaria and joined local authorities in a demonstration of how to use the life-saving nets. In her new role as a UNICEF Goodwill Ambassador, Williams will use her popularity and personal interest in children’s issues to support UNICEF’s mission to provide a quality education for the most vulnerable children through the Schools For Africa programme and the upcoming Schools for Asia initiatives. Schools for Africa is a joint initiative founded in 2004 by UNICEF, the Nelson Mandela Foundation and Peter Kramer Stiftung aimed at providing quality basic education to millions of children in 11 countries in Africa. Following the success of Schools for Africa, UNICEF is replicating the model for Asia. The purpose of both initiatives is to provide access to quality basic education to millions of children in with a special focus on the most marginalized, including girls, orphans, children from disadvantaged ethnic groups and children living in remote areas and/or in extreme poverty. The newly minted ambassador is one of the most dominant figures in tennis. 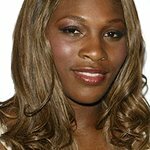 To date, Williams has won a total of 13 career Grand Slams and was a Gold Medalist at the 2000 and 2008 Olympics. Williams joins a famous roster of past and present UNICEF Ambassadors that includes Audrey Hepburn, Harry Belafonte, Mia Farrow, David Beckham, Orlando Bloom, Yuna Kim and Shakira.